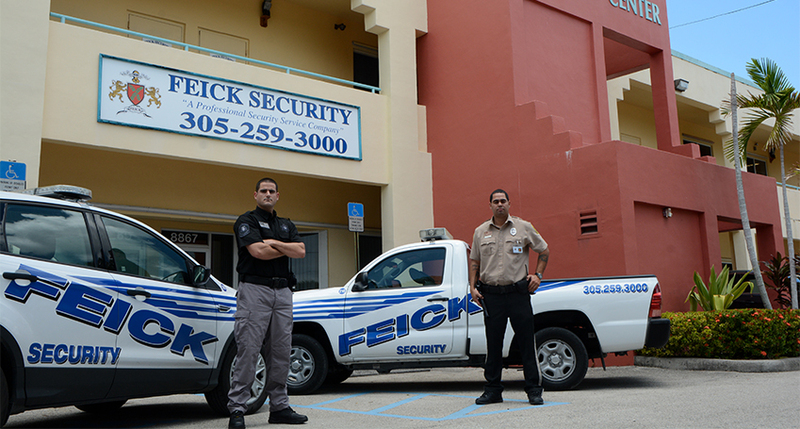 For your protection Feick Security Corporation maintains the highest standards of clearance of their security guards for your service. Prior to hire, all Feick Security guards applicants must submit to an extensive criminal background checks, verification of previous employment and complete a drug screening. Our security officers are courteous, professional and will be additionally trained onsite for your specific needs. Security guards receive comprehensive onsite and specific training before being assigned to your post location. The Feick Security Human Resource Department uses an automatic alert system to inform management as to an officer’s security license status. If a guards license has expired that guard is relieved from active duty until their license is brought current.